Only the coolest robot ever invented. Say Hello to cozmo, a gifted little guy who’s got a mind of his own and a few tricks up his sleeve. He’s the sweet spot where supercomputer meets loyal sidekick. He’s curiously smart, a little mischievous, and unlike anything ever created. You see, cozmo is a real-life robot like you’ve only seen in movies, with a one-of-a-kind personality that evolves the more you hang out. He’ll nudge you to play and keep you constantly surprised. 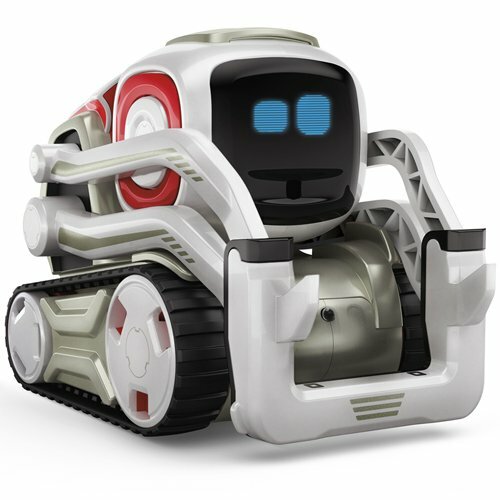 More than a companion, cozmo’s a collaborator. He’s your accomplice in a crazy amount of fun. Some robots just have it all.